Frederick Arthur RUSSELL was born in Rugby on 28 January 1889 and his birth was registered there with those names in Q1, 1889. He was the eldest son of William Knibb Russell (b.c.1863 in Rugby) and Charlotte Hannah, née Leeson, Russell (b.c.1862 in Braunston). The Russell name goes back to Scotland. William Knibb Russell’s father, Matthew, came south from Darvel, Ayr. In 1861, Matthew, now aged 27, was a grocer and living at 60 Warwick Street, Rugby with his wife, Elizabeth Jane, née Ensor, and his brother in-law Robert J. Ensor. The Ensor family were from Newbold on Avon. In 1891 the Russell family were living at 18 Stephen Street, Rugby. Frederick was 2 years old and his father, William, was a ‘general labourer’. His mother, Charlotte’s father, Frederick’s grandfather, was also living with them. By 1901 they had moved to 25 Rowland Street and Frederick’s father was now a ‘plasterer’. There was another son, Frederick’s brother, Ernest Henry who was four. Elsie E Morris, a nine year old ‘niece’ from Long Buckby was in the house, and Charlotte’s father, now 84, was still with them. In late 1909, Frederick married, as Arthur Frederick, in Rugby with Esther Mary Watkins, who was from Flecknoe – she was three years older than Frederick. They married at the Baptist Chapel, on 4 December 1909, and by 1911, had moved to live at 11 Dale Street, Rugby. Frederick was now a ‘postman’ and they had a three month old daughter, Esther Jessie Russell, who had been born on 1 January 1911. By 1911, the rest of the family had moved to 29 Benn Street, Rugby, and Frederick’s father had become a ‘laundryman’ – indeed he was the owner of a laundry. His wife was a ‘laundress’, and three of the four girls lodging with them were each described as a ‘laundress’. Frederick’s brother, Ernest Henry, was a ‘grocer’s apprentice’. The family would still be living in the same house after the war. With War declared, and as a married man, Frederick would not have been expected to join up with the first volunteers. He continued working as a postman until late 1915, and then probably into mid-1916 until he had to report to Plymouth for duty. Frederick Arthur Russell’s army Service Record survives – it is somewhat complicated with many medical entries, as Frederick seems to have been wounded several times. He was ‘attested’ at Rugby into the Royal Garrison Artillery on 9 December 1915 for the ‘Duration of the War’, whilst still a postman, aged 26 years and 11 months, 5ft 9ins tall, 168 lbs, of very good physical development and now living at 6 Benn Street, Rugby, nearer the rest of his family. He was of ‘C of E’ religion. Whilst ‘attested’ he was not required for a while, but he ‘rejoined the colours’ on 28 August 1916, from which date his service was reckoned and he was posted to ‘3 Depot’ as a ‘Gunner’ No: 116560 and then ‘Approved’ on 30 August 1916 at Plymouth. His gave his wife’s name, Esther Mary née Watkins, as his next of kin – she was at home at 6 Benn Street, Rugby. The Baptist Minister signed the various documents for the family. When he arrived at the Citadel, Plymouth, on ‘29.8.16’, he was revaccinated, he then had a TAB inoculation on ‘11.9.16’, and he left the Citadel and was posted again on 18 September. He passed his ‘Signalling 2nd Class’ on 13 December 1916. He was posted to ‘2 Depot’ on 17 January 1917 and a week later on 24 January 1917, he was posted to the B.E.F. in France, and was then posted to 146 Heavy Battery from Base on 10 February 1917. Just over two months after his arrival in France, he was wounded on 11 April 1917, ‘WO Cas List – Wd 11-4-17 [Action] N of Kin … WO Cas List – GSW Lt. Thigh Sev.’ [Gunshot wound left thigh, severe] and he was ‘Adm ? Cas/n? Gen Ho Etaples 13-4-17’ [Admission to Canadian General Hospital, Etaples]. He was ‘invalided to England’ on 17 April 1917, and again posted to ‘2 Depot’ – presumably as an administrative device – and then ‘Wd adm to Eastern Gen Hos Cambs’ [Wounded admission to Eastern General Hospital, Cambridge]. It seems that he recovered fairly quickly as he was posted to the ‘Res Bde’ and ‘4 Res Bgd’, both on 14 May and then promoted Bombardier on 28 May 1917 – however, this seems to have been an error and was corrected to Lance Bombardier on 30 May 1917! He was sent back to ‘Base’ in France on 22 June 1917 to the ‘4 Res Bty’, and then from ‘Base’ to ‘135 Heavy [Battery] … in the field’ on 30 June 1917. He became due for leave in UK (via Boulogne) from 1 to 15 March 1918, but a few months after his return to France, he became a casualty again apparently on 10 August 1918 – it seems due to an accident – possibly when dealing with a heavy artillery piece, ‘WO Cas List – NYD – Fract Tibia & Fibular R, Severe adm 1. (Presby USA), Gen H Etretat 22/8/18’ [Fractured Tibia and Fibula right, severe, admitted to No 1 (Presbreterian USA), General Hospital Etretat, 22 August 1918]. There were various administrative notes, but after a few days at Etretat, on 30/31 August 1918, Frederick was evacuated back to UK for treatment on the ‘Ambulance Ship St Patrick’ – and posted away from the battery – ‘WO Cas List – Sick Adm – Lord Derby W Hos Warrington 31-8-18 to 9.11.18 simple fracture – accidental’ [This was for treatment at the Lord Derby War Hospital, Warrington] – it seems the break was the a result of an accident – accidents still happened in war! He was then posted back to the Depot at Catterick Camp, presumably to recuperate and then to await re-posting, but on about 20 November 1918, whilst at this posting at the ‘RA & Tank Corps, Catterick’, he was admitted to Catterick Military Hospital. His Medical Case Sheet gives typed up notes on his condition, which give an indication of the severity of the ‘Spanish Flu’, which before the advent of antibiotics, killed many more people, both civilian and military, all around the world, than did the battles of WWI. ‘21 Nov – Admitted, complained of general pains, headache and malaise two days ago. Cough. On admission Temp. 102. Sod. Sal. Gr.x 4 hourly. Pulse 100. 22 Nov – Headache. No marked change. 23 Nov – Condition worse. Temp.102. 24 Nov – Temp. risen. Resp. more rapid. Abdominal pain and distension. Inhalation of Benzine. Cough severe. 25 Nov – Temp. 103.4. Pulse 80. Condition serious. 26 Nov – Very cyancsel. Pulse strong until the last. Resps. Laboured. Stimulants given. Died from Broncho Pneumonia. The result of Influenza contracted during ordinary Military Service. Another handwritten note states that ‘The above person died whilst serving’. He died just six days after being admitted from ‘Influenza and Bronchitis’ at 7.00pm on 26 November 1911. His body was returned to his family and he was buried in a family plot No: B.298 in the Clifton Road Cemetery, Rugby. This is a family plot without a CWGC Headstone. He is interred with ‘Bdr F.A. Russell, RGA’ on one headstone and with his parents alongside, together with William Watkins, his father-in-law, who died on 8 November 1924. It was said by his family that Frederick died as a result of being gassed at the front, but that is not discernible from available records. Whether or not this was the case, he should have been entitled to a CWGC gravestone. He is in any case recorded as a war death by the CWGC – perhaps the family had the option of a gravestone and declined. Frederick Arthur Russell was awarded the British War and Victory Medals, and his widow acknowledged their receipt on 1 November 1921. ‘On waters deep in the treacherous mud. On rock bound heights and burning sand. They poured the offering of their blood. Frederick’s ‘Will Form’ dated 19 January 1917, gave his wife’s name and their address. Final ‘disposal’ was dealt with by the army on 3 February 1921. His widow, Esther Mary Russell, was authorised to receive a pension. She later re-married with James Albert Tame on 18 September 1923 at the Baptist Church, Rugby. Esther was then 38, a widow, and had moved to 37 Benn Street, Rugby. James was 50, a widower and estimating engineer (of 40 York Street, Rugby). He was born 4 April 1873, son of James Ottoway Tame and Rosetta, née James, Tame. He had married Kate Cook on 31 July 1897 and they were both living in Kingston on Thames in 1901, but had moved to ‘Strathmore’, Temple Street, Rugby before 1911. Frederick and Esther’s daughter, Jessie Ester Russell, never married, but served in the WRNS during WW2. Frederick’s younger brother, Ernest Henry Russell, who was born in 1896, also served in WW1. He was probably a grocer’s assistant with the Co-Op at the time of his enlistment and later had his own shop, E. H. Russell, the Family Grocer, at 10 Henry Street, Rugby, opposite the Rugby Theatre. He was a Private, No:266698, and was a signaller (or involved with communications) with the Royal Warwickshire Regiment. He was gassed, but survived, and sent to Somerset for treatment and recuperation. There he met Dorothy May Hollyman from Clevedon and they were married in 1923. Their grandson remembers him telling of repairing broken field telephone lines with paperclips. Ernest died aged 77 in 1974. This article on Frederick Arthur RUSSELL was researched and written for a Rugby Family History Group [RFHG] project, by John P H Frearson. Further information was provided by Martin Taylor, Frederick Taylor would have been his Great Uncle had he survived the War. The article is © John P H Frearson and the RFHG, October 2018. It was at this hospital that Arthur GREATREX, from Rugby, was treated, prior to his death on 10 November 1918 – see ‘Rugby Remembers’ for 10 November 1918. Implies a blue colour, particularly of the lips, a symptom when insufficient oxygen was reaching the body. Qualifications for inclusion. The Commission only commemorates those who have died during the designated war years, while in Commonwealth military service or of causes attributable to service. Death in service included not only those killed in combat but other causes such as those that died in training accidents, air raids and due to disease such as the 1918 flu pandemic. The applicable periods of consideration are 4 August 1914 to 31 August 1921 for the First World War … The end date for the First World War period is the official end of the war, … Ref: https://en.wikipedia.org/wiki/Commonwealth_War_Graves_Commission#Qualifications_for_inclusion. Photograph provided by Frederick’s great-nephew, Martin Taylor. Alfred James RENSHAW was born in Rugby in 1896 and his birth was registered in Q2, 1896. He was baptised on 8 November 1896 at St. Andrew’s church, Rugby; when his family lived at 63 Cambridge Street and his father was a ‘Fireman’. He was the second son, and the third child of five, of William Renshaw (b.c.1867 in Rugby) and Elizabeth, née Clarke, Renshaw (b.c.1867 in Yelvertoft). Their marriage was registered in Q2, 1892, in Rugby. In 1901, when Alfred was four, the family was living at 121 Cambridge Street, Rugby. Alfred’s father was a ‘railway engine stoker’. It seems from a later letter (below) that he would become a pupil at Murray School. In 1911, the family was living at 149 Oxford Street, Rugby; Alfred was 14 and an ‘Errand Boy’ at the B.T.H. works. His elder brother and sister both worked for the ‘Co-op Society’, as a ‘baker’ and a ‘shop assistant’ respectively. His father had been promoted and was now an ‘engine driver’. His parents had been married for 19 years and had had five children, all of whom were living. At some date before to the war, it seems that Alfred had followed in his father’s career footsteps, and had moved to work for the L & N-W Railway, as shown in an article in the Rugby Advertiser in September 1914, entitled ‘Rugby’s Magnificent Response’, which included Alfred’s name. It is not known exactly when Alfred joined up, but it must have been early in the war, indeed he was probably already in the Territorial ‘Rugby Howitzer Battery’, as his Medal Card states that he went to France on 31 March 1915, and thus qualified for the 1914-15 Star. The card shows that he was initially in a Territorial battery of the Royal Field Artillery [RFA] and he had the very early number 52. This early form of number, would also tend to confirm that he was already a member of the ‘Rugby Howitzer Battery’ in the local 1st/1st Warwickshire Royal Horse Artillery (Territorial Forces). A number of other Rugby casualties served in this Battery, including: Corporal, No.187, Thomas J Smith, from B.T.H. who was wounded and died of his wounds on 21 March 1918; and Lance Bombardier, No.99, C. S. Collins, also from B.T.H., who died from his wounds, on the 24 October 1918, the day after Alfred. A note on the later renumbering of RFA members also gives some confirmatory information. The above date, 31 March 1915, agrees with the date of entry to France on Alfred’s Medal Card – and confirms that he was originally with the 4th South Midland (Howitzer) Brigade, Royal Field Artillery. The Battery was recalled from summer camp for training in the Chelmsford area in August 1914, and sailed from Folkestone to Boulogne in ‘mid March 1915’ and concentrated near Cassel. The Battery left the Division on 16 April 1915. A summary of their activity from Wikipedia, is given below – it can be seen that there was considerable movement of units, and it is likely that men were also cross-posted, leading to Alfred’s alternate numbers. The South Midland Division was ordered to join the British Expeditionary Force (BEF) in France on 13 March 1915, and the artillery embarked at Southampton for Le Havre, the 1/1st Battery disembarking on 31 March. By 4 April the division had taken over a section of the front line near Cassel. However, artillery policy in the BEF was to withdraw heavy batteries from the divisions and group them into dedicated heavy artillery brigades, so on 16 April the battery left the South Midland Division to join Second Army Artillery in time for the Second Battle of Ypres. At this time the practice was to move batteries between heavy brigades (later heavy artillery groups or HAGs) as required, so the 1/1st Warwickshire Bty moved to XVI Brigade RGA on 10 June, to VIII Brigade RGA on 3 July, to III Corps Artillery with First Army on 21 August, and IV Heavy Bde on 10 November. In early 1916 the battery was moved again, to 12th HAG with Second Army (10 April), to ‘Loring’s Group’ with I ANZAC Corps (19 May), then to 44th (South African) HAG (5 August), and on to 34th HAG (27 August), which joined Fourth Army on the Somme in September. After the Somme fighting died down, the battery moved within Fourth Army to 7th HAG (30 November) and back to 44th (SA) HAG (23 December). By the end of 1916 the obsolete 4.7-inch gun had been largely superseded on the Western Front by the modern 60-pounder. On 28 February 1917 the battery was made up to a strength of six guns when it was joined by a section from the newly-arrived 199th Heavy Bty. It then moved north on 13 March to join 15th HAG with First Army, arriving on 21 March. Soon afterwards (15 April) it was switched south again to Fifth Army where it joined 9th HAG on 20 April. Through the early summer the battery continued to be switched rapidly from one HAG to another: 42nd (arriving 19 May), 16th with Third Army (5 July), 52nd with Second Army (9 July), 99th (12 July), then back to 52nd (6 August), and finally 11th (7 September). By now, Second Army was involved in the Third Ypres Offensive, taking the lead at the Battles of the Menin Road Ridge, Polygon Wood and Broodseinde, which were notable artillery victories. The 60-pounders were used for counter-battery fire before the attack, and then as part of the creeping barrage that led the infantry onto their objectives. However, the subsequent attacks (the Battles of Poelcappelle, First Passchendaele and Second Passchendaele) were failures. The British batteries were clearly observable from the Passchendaele Ridge and suffered badly from counter-battery fire, while their own guns sank into the mud and became difficult to aim and fire. While the Ypres offensive was still continuing, the German and Austrian victory at Caporetto on the Italian Front led to British forces being rushed from Flanders to shore up the Italian Army. Even before their defeat the Italians had asked for the loan of heavy artillery, and now a number of units were hurriedly sent by rail, including 1/1st Warwickshire Battery, which went on 14 November. In February 1916 Alfred was still with the Rugby Howitzer Battery, although a comment ‘I arrived safely back …’, suggests he may have had some leave in late 1915 or early 1916. It seems that in the 1916 reorganisations of the Royal Field Artillery, Alfred Renshaw was renumbered and transferred, at least latterly, into the Royal Garrison Artillery, (TF), as a Gunner, No: 314639. He was also – before or afterwards – in the Royal Field Artillery as Gnr. No: 832129, possibly as a temporary or earlier appointment, as the CWGC still had him listed in the Royal Garrison Artillery. The UK, Soldiers Died in the Great War, 1914-1919 records that he was formerly No: 832129, 4th South Midland Howitzer Brigade, R.F.A. ; and was then a Gunner, No: 314639, in South Midland (Warwickshire) Heavy Battery. [RGA – (TF)], Royal Garrison Artillery. The Medal Role for the British War Medal and Victory Medal also states that he was ‘RFA. 832129 Gnr, RGA. (TF)’ and also ‘Gunner, 314639, Royal Garrison Artillery, South Midland (Warwickshire) Heavy Battery. [RGA – (TF)]’. In May 1916, before the Battle of the Somme, the Brigades in the British Artillery were renumbered. The 4th South Midland became 243 Brigade, but some of its men were scattered, and that may have been when Alfred was posted to the Royal Garrison Artillery. It seems that later his first Battery was sent to Italy, but Alfred died in France, so he was not with them. With no service records and the surviving information not giving any specific unit numbers, it seems almost impossible to be absolutely certain where he was when he was wounded. It would probably have been by counter battery fire, as the Germans tried to halt the advancing allied forces. However, as the CWGC has him with the 2nd/1st Lancashire Heavy Battery, RGA, it may be possible to hazard a guess. The 2nd/1st LHB RGA was part of the 57th West Lancashire Division. They joined the Division on 26 November 1915, received four 4.7-inch guns on 29 December 1915, and later moved independently to France, arriving on 1 July 1916 and coming initially under orders of II Anzac Corps. The Battles of the Lys (9-29 April) (Divisional artillery only); the Battle of the Scarpe (26-30 August) and the Battle of the Drocourt-Queant Line (2-3 September) both being phases of the Second Battles of Arras 1918. The Battle of the Canal du Nord (27 September-1 October) and the Battle of the Cambrai (8-9 October), in which the Division assisted in the capture of Cambrai, and both of which were phases of the Battles of the Hindenburg Line. The occupation of Lille (17 October), and the general final advance in Artois (15 October-1 November), both being phases of the Final Advance in Artois. The War Diary,  provides some indication of the activities of the 57th Division artillery. In September, the focus of the advance was in the Cambrai area with the Divisional artillery supporting the advance as the troops moved forward toward Cambrai from the west, advancing from Graincourt, to Anneux, Cantaig-sur-Escaut, then around the south of Cambrai, to Proville, Niergnies and on to Awoingt. Cambrai was taken in this period. 20 October – ‘Enemy resistance began to stiffen. …’. The best information at present was that the 2nd/1st Lancashire Heavy Battery, RGA, was with the 57th Division and that Alfred would have been in the Lille area when he was wounded – presumably during the hostile artillery harassment. Although he may have been wounded in later October, it may have been in some earlier incident, as he had been evacuated a very considerable distance of some 260 kms, to one of the military hospitals at Rouen. He died from his wounds, on the 23 October 1918, either in Rouen, or possibly on his way to a hospital there. He was 22 years old. After Alfred died, like the great majority of those who died in the various Rouen Hospitals, he was buried in the Rouen city cemetery of St. Sever, in the St Sever Cemetery Extension, in grave reference: S. II. FF. 12. St. Sever Cemetery and St. Sever Cemetery Extension are located within a large communal cemetery situated on the eastern edge of the southern Rouen suburbs of Le Grand Quevilly and Le Petit Quevilly. The Extension had been started in September 1916. During the First World War, Commonwealth camps and hospitals were stationed on the southern outskirts of Rouen. A base supply depot and the 3rd Echelon of General Headquarters were also established in the city. Almost all of the hospitals at Rouen remained there for practically the whole of the war. They included eight general, five stationary, one British Red Cross and one labour hospital, and No. 2 Convalescent Depot. A number of the dead from these hospitals were buried in other cemeteries, but the great majority were taken to the city cemetery of St. Sever. In September 1916, it was found necessary to begin an extension, where the last burial took place in April 1920. Later, when a permanent gravestone replaced his temporary cross, it included his family’s message, ‘AT REST’. The next of kin was recorded as ‘Mr. F. Keeley, 10 Lodge Road, Rugby’. He was Alfred’s brother-in-law; Frank Keeley’s marriage to Alfred’s elder sister, Lilian, was registered in Rugby in Q2, 1917 [Rugby 6d,1369]. There were no obvious death notices or obituaries in the Rugby Advertiser, however, his death was noted in the Coventry Evening Telegraph. 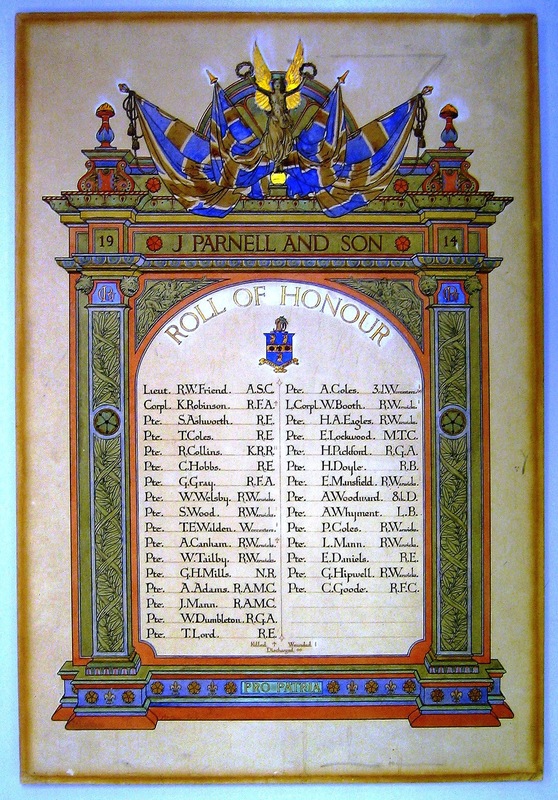 ‘The Roll of Honour – Coventry and District Casualties, Died of Wounds, Renshaw, 314639, Gunner, A. J. (Rugby), R.G.A.)’. This article on Alfred James RENSHAW was researched and written for a Rugby Family History Group [RFHG] project, by John P H Frearson and is © John P H Frearson and the RFHG, August 2018. Rugby Advertiser, 5 September 1914; also https://rugbyremembers.wordpress.com/2014/09/05/5th-sep-1914-rugbys-magnificent-response/. Rugby Remembers, C. S. Collins, 24 October 1918. Rugby Advertiser, 26 February 1916; see also: https://rugbyremembers.wordpress.com/2016/02/26/26th-feb-1916-restrictions-on-the-use-of-paper/. https://www.longlongtrail.co.uk/army/order-of-battle-of-divisions/57th-2nd-west-lancashire-division/, The Long Long Trail, The history of 57th (2nd West Lancashire) Division. UK, WWI War Diaries (France, Belgium and Germany), 1914-1920, Royal Horse Artillery and Royal Field Artillery, 57th Division, Piece 2968/2: Commander Royal Artillery (1917 Feb – 1919 Mar). Coventry Evening Telegraph, Tuesday, 26 November 1918. Oswald Samson was an assistant master at Rugby School, the youngest of the three sons of Charles H Samson FRIBA and his wife Wilhelmina (Mina). Charles was born in Kent and his wife in Hertfordshire, they were married at Royston in 1872. Oswald was born in Taunton in 1881 and baptised at Taunton St Mary on 8 August that year. His father was an architect, the family home being The Laurels, Maplegrove Road. His two older brothers were Harold Overell Samson and Charles Potter Samson. In 1891 Oswald was a scholar aged 9 living with his parents still at The Laurels in Taunton. He attended Cheltenham College 1895-8, and in 1899 entered Hertford College, Oxford, where he studied mathematics and graduated in 1902 with an Honours degree. He was a keen cricketer and played for Somerset 1900-1913. He joined the staff of Rugby School in September 1903. By 1908 he was living at 41 Hillmorton Road. His parents had come to Rugby to join him, maybe once he had been appointed to Rugby School, by which time his father would have been 65 and probably retired. The family was certainly comfortably off, as the house in 1911 is listed as having 12 rooms, and there were two resident servants. Oswald joined the Royal Garrison Artillery as Gunner 194259, and according to his medal card was promoted to 2nd Lieutenant in April 1917. At the time of his death he was in 143rd Siege Battery. He died of wounds on 17 September 1918 and is buried in the Peronne Communal Cemetery Extension on the Somme. This cemetery contains the reburied remains from 11 small cemeteries in the area, of soldiers who were mainly first interred in September 1918 including Oswald. A brief obituary appeared in the Taunton Courier of 9 October 1918. Probate was granted to his two brothers, his estate amounting to almost £6000. His mother had predeceased him in 1917, his father died in 1925. As well as being commemorated on the Rugby Memorial Gates, his name appears on memorials in Taunton St Mary, Hertford College and Rugby School Memorial Chapel. He was awarded the Victory and British War medals. George Henry MANN was born in about 1879 in Rugby. He was the son of Edward Thomas Mann, born in about 1852 in Boston, Lincolnshire, and Emma, née Hitchcox, Mann who was from Milverton, Warwickshire. It seems that Emma’s family had moved to Rugby in the later 1850s, and that Edward – who is missing from the 1871 census – was also in Rugby before 1875, when their marriage was registered in Rugby in Q4 1875. Their second son, George Henry, was baptised on 23 February 1879 at St Matthew’s church, Rugby. In 1881 the family, including two year old George, his elder brother William Edward and the baby, Albert John, were all living at 11 Oxford Street, Rugby. Edward Thomas Mann was a 27 year old Engine Driver with the L&NW railway. By 1891 there were three more young daughters in the family, and the family had moved to 120 Oxford Street. By 1901 they were living at 98 Oxford Street [possibly a post office renumbering], and there was another baby boy in the family. George was still living at home and working as a ‘painter and decorator’. By 1911 the rest of the family, including one of the sons who was now married and his wife, had moved to 142 Bath Street, Rugby. Most of the now adult ‘children’ were working at BTH or at the ‘Lamp Factory’. 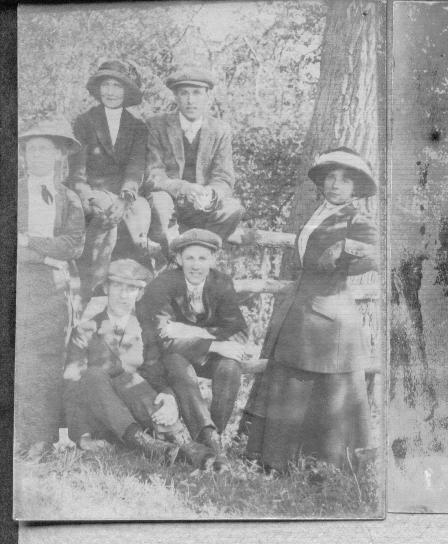 George married Ellen Rainbow, née Hammond, Mann [1879-1957] at Ryton on Dunsmore, on 21 December 1903, after banns had been called for the third time on 29 November 1903. Their daughter Ivy Annie Mann, was born in Rugby on 21 December 1904. By 1911, George with his wife and daughter had moved to 102 Oxford Street, Rugby. George and Ellen had now been married eight years, and at this date still had just the one child. Frank was aged 32 and a ‘House Painter & Journeyman’. He later described himself as a ‘Decorator & Paper Hanger’. However, after a ten year gap, they were to have two more children, Jack Thomas Mann, born on 23 September 1913 and Gladys Florence Mann, born on 20 December 1915. All three children are recorded on his later Pension/Service Record which has survived. Thomas was attested at Rugby on 10 December 1915, aged 37, – although the paperwork was not ‘approved’ until the 7 July 1916 the document being signed at the Citadel, Plymouth. He joined up as a Gunner, No.98658, in the 262nd Siege Battery, Royal Garrison Artillery. His height was 5 foot 6¾ inches. He remained on an ‘At home’ posting until 4 September 1916. On 6 July 1916 he was revaccinated, at Plymouth where he was stationed from 6 July until 5 September 1916. Then on 5 September 1916, he was posted to Malta until 5 July 1917. He was then posted back ‘Home British’ from 6 September 1917 until 8 January 1918, with a period at ?‘2 Dep’ from 14 July 1917 and ?’1 rev Sge’ from 24 July 1917. During this period he also spent time at the Instructional Battery at the Chapperton Down Artillery School at West Lavington. On 26 September 1917 he ‘overstayed his leave’ [probably after his Malta posting] from noon on 26 September until 7.45pm on 27 September. He was admonished and forfeited one day’s pay. On 9 January 1918 he was posted to BEF France and then to the base depot, in the field, of the 262nd siege battery on 13 January 1918. Whilst the front had been comparatively quiet, an attack was anticipated and on 21 March 1918, the Germans launched a major offensive, Operation Michael, against the British Fifth Army and the right wing of the British Third Army. The German artillery targeted command and communications; then, the destruction of artillery; and then the front-line infantry. The artillery bombardment began at 4.40am on 21 March 1918, and hit targets over an area of 150 square miles, the biggest barrage of the entire war. Over 1,100,000 shells were fired in five hours. It was thought that it would have been during this preliminary shelling of the British artillery positions early on 21 March 1918 – and thereafter – that George was wounded. However, it seems that George may have received the ‘gunshot wound to the right leg’, sufficiently before this date, so that on 20 March 1918 he had already been evacuated to the 4th General Hospital, at ‘Dannes-Camiers’, just north of Etaples. He was listed as ‘serious’ and his leg was amputated. Unfortunately this did not save his life and he ‘died of wounds’ at the hospital on 3 April 1918. He was buried in the nearby Etaples Military Cemetery which was used by the hospitals in the area. His body was buried in grave ref: XXXIII, D, 31A. 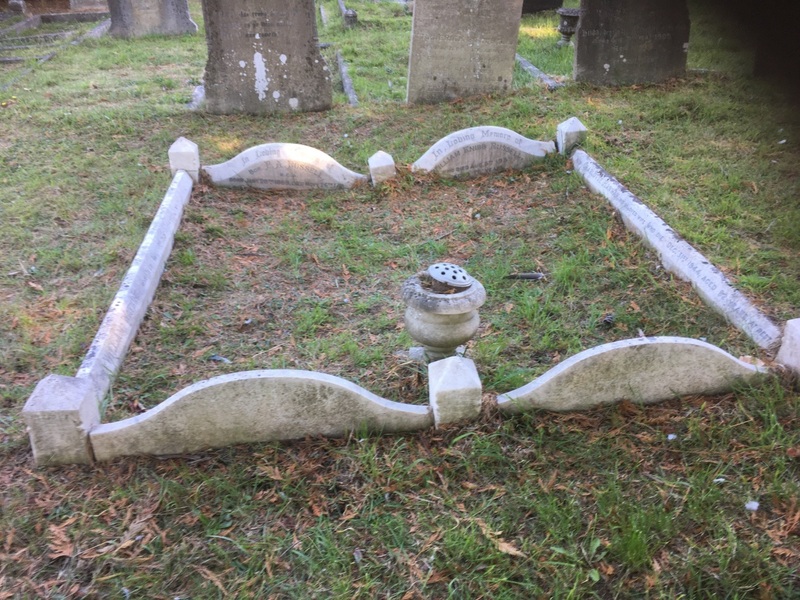 Later, when a permanent gravestone replaced the temporary cross, his family’s message, ‘Deeply Mourned by Sorrowing Wife & Children – Peace Perfect Peace’ would be engraved upon it. The Etaples Military Cemetery is located on the former site of a large military hospital complex at Etaples, a town about 27 kilometres south of Boulogne. The Military Cemetery is to the north of the town. The nearby hospitals, which included eleven general, one stationary, four Red Cross hospitals and a convalescent depot, could deal with 22,000 wounded or sick. George Henry MANN is also remembered on the Rugby Memorial Gates. His Medal Card showed that he was awarded the British War Medal and the Victory Medal. His wife applied for these in about August 1921, ‘… as my little son, as I think he is entitled to them.’ They were received on 15 September 1921. George’s widow was awarded a pension for herself and their three children. This article on George Henry MANN was researched and written for a Rugby Family History Group [RFHG] project, by John P H Frearson and is © John P H Frearson and the RFHG, January 2018. No.4 General Hospital was at St. Nazaire in September 1914; Versailles, from September 1914 to January 1916; then at Camiers, just north of Etaples, from January 1916 to April 1919; and after the war at Dunkerque, from April to November 1919. Archibald John WINGELL was born in about early 1879 in Leicester. He was the only son of Arthur Wingell, a book-keeper [born c.1855, in Guilsborough, Nothamptonshire], and his wife, Lucy Ann [Fanny], née Ireland, [b.c.1851, who was from Leicester]. Their marriage was registered in Leicester in Q2 1877. In 1881, when Archibald was two, the family was living at 34 Chestnut Street, Leicester. By 1891 they had moved to Rugby and were living at 34 Bath Street. Archibald was now 12 and he had a sister, Edith Minnie, who was eight and had been born in Aylestone, Leicestershire. Their father was now a Grocer. On census night Archibald’s mother’s sister, Martha, a schoolmistress, and his grandmother, Hannah Ireland, were staying with them. In 1901, the family were still in Rugby, but had moved to 11 Arnold Street. Archibald’s father, Arthur, was a ‘grocer’s clerk’ and Archibald was a ‘tailor’s cutter’. His sister, Edith Minnie was working at home as a ‘milliner’. It seems from papers in his effects, that Archibald had become – or perhaps was studying to become – a Mason, although nothing further is known. It seems that Archibald moved to London and on 2 April 1911 the census noted that he was aged 30 and boarding at 37 Angles Road, Streatham, and still working as a ‘tailor’s cutter’. Soon afterwards he married Agnes Anne Howse, then a ‘showroom assistant’ on 15 August 1911 at St James’ church, Ramsden, Oxfordshire. She was born in Ramsden in 1885 and her father was a blacksmith. In April 1911 she had been an assistant draper in the High Street, Banbury. The Electoral Registers for 1914 and 1915 listed him in a ‘dwelling house’ at 78 Harborough Road, Streatham. Archibald enlisted, aged 36 years and 11 months, on 9 December 1915. He was living at 78 ‘Harbour’ [Harborough] Road, Streatham, Surrey. He was 5ft 8inches tall and had a birth mark on the outside of his right thigh. He joined the Royal Garrison Artillery as a Gunner, No.101045. His Service Record survives, probably because his widow later received a pension and the Pension Records were not affected by the WWII fire. He was on ‘Home Service’ from 21 June 1916 to 9 July 1917. He was promoted to ‘Lance Rank’ on 19 August 1916 and then to Acting Bombardier on 22 January 1917. He then went to join the British Expeditionary Force in France on 10 July, and on 17 July was posted from ‘base’ to the 23rd Heavy Battery, which had arrived in France, some two years earlier, on 15 September 1915. Less than three weeks after going to France, he received gunshot wounds to his groin and back whilst he was ‘in action’ and was transferred to the 140th Field Ambulance, which was attached to the 41st Division in France where he died of his wounds on 31 July. The 41st Division had been involved in the Battle of Messines in June 1917, before Archibald arrived in France. The Division was then involved in the initial action of the Battle of 3rd Ypres – the Battle of Pilckem Ridge which started on 31 July 1917, the day he died. He was buried near the ‘Great Cross’ in Plot II. A. 3., in the La Clytte Military Cemetery. His gravestone includes the following words from his widow: ‘Adieu until we meet above’. La Clytte Military Cemetery is located 8 kms west of Ieper [Ypres]. The hamlet of La Clytte was used as Brigade Headquarters, and burials were carried out by Infantry, Artillery and Engineer units (out of 600, 250 are those of Artillery personnel and 66 are those of Engineers). ‘Disc, Letters, (1 Registered open), Photos, small photo-case, Pocket book, Religious Book, 9ct Gold Ring, silver cigarette case, fountain pen & filler, Lodge rules, letter wallet, training card, Ribbon brooch, Cigarette holder, medal ribbons (3 pieces), sundry papers & cards, sundry Masonic papers, eyeglass, key, watch (broken), mirror, tobacco pouch, metal comb, penny stamp’. The Register of Effects confirms his rank, number and place and date of death. His back pay of £4-15-2d was paid to his widow and sole legatee, Agnes, on 12 January 1918, and his War Gratuity of £4-0-0d was paid to her on 3 December 1919. Agnes was awarded a pension of 13/9d per week with effect from 18 February 1918. Archibald John Wingell was awarded the British War and Victory Medals which were received by his widow on 6 October 1921. He is also commemorated on the Rugby Memorial Gates in Hillmorton Road, Rugby. At the time of Archibald’s marriage in 1911, his father was a ‘Broker’s agent’, but he died in Rugby in 1913, aged 58. After the war, in 1919, his widowed mother, Lucy, was still living in Rugby, at 69 Manor Road. His sister had married in mid-1907 with Augustus Frank Lane, and was now Mrs Edith Lane and they were living at 6 Holbrook Avenue, Rugby. This article on Archibald John WINGELLwas researched and written for the Rugby Family History Group [RFHG] project, by John P H Frearson and is © John P H Frearson and the RFHG, July 2017. Percy John Dexter was born in Birmingham in 1889. Son of William Herbert Dexter (b.1862 – d.1919) and Betsy Chinn (b.c1858 – d. 1890). Both of whom were of Coventry. Two older brothers, also born in Birmingham, were Herbert (b.1885 – d.1954) and Frederick William (b.1887 – d.1967). After the death of Percy’s mother Betsy, his father moved to Rugby in 1892 and married Sarah Ann Franklin of Dunchurch. There were at least a further seven siblings, all born in Rugby. Evelyn (b.c1894, Ethel Lilian (b.1896 – d.1962), Violet (b.1897), Grace Ellen (b.1898), Winifred (b.1901), Gladys (b.1902) and Edith Emily (b.1908). The first two brothers both returned to Coventry to live, work and die. His father – William H. – was joiner and carpenter throughout his life and freeman of the City of Coventry. He had worked for both the major building firms in Rugby, Parnell and Linnell, and was an active trades unionist and co-operator. Percy’s trade was a painter and house decorator and before the start of the War he had joined with his father in a business partnership. He was secretary of the New Bilton Cricket Club and was also a well-known footballer. In 1911 Percy married in Rugby, Beatrice Louisa Ward, from Norfolk (b.1887 – d.1981). A son, Maurice William, was born 14 October, 1912, in Rugby, he died in 1993. At the time Percy died his wife lived at Lawford Road, New Bilton. Percy attested under the ‘Derby’ scheme, and joined the Army in August 1916. He became a Gunner in the 219th Siege Battery of the Royal Garrison Artillery. The 219th S.B. arrived in France on 2 December, 1916. During the spring of 1917 it had moved from active duty in the Arras area (Bouvigny Wood, Noulette), then North to Bethune for rest (mid.May). By 12 June they arrived at St. Sylvestre Cappelle, moving to the Belgian coast at St. Idesbald three days later. On 21 June two of their four howizters were installed in the sand dunes at Nieuport, close to the front-line. Other Siege Batteries were in the area, including at Nieuport dunes, the 227th, 268th 2000m away at Ramscappelle and 330th at Dominion Farm (Naval Seige Gun H.Q. ), and nearby during July included 325th, 133rd, 94th and several others. There was a frequent bombardment of the enemy, besides the test firings to calibrate for range. Enemy targets include hostile batteries, machine gun emplacements, trench and wire entanglements disruption, road, houses, etc. Aeroplane registration of targets (by wireless) was a regular feature. All direction of fire was by reference to a standard grid system on local maps. 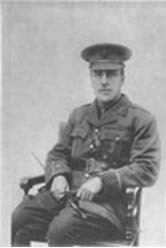 Percy J Dexter was killed in action on the 10 July, 1917. Two comrades died the same day, Gnr. Frederick William Mason Baker and Gnr. Wilfred James Slade. All were buried at Coxyde Military Cemetery. 117 men of the R.G.A. are buried in this cemetery. The majority died in July, August and September of 1917. On 10 July, 1917, there were 867 Commonwealth deaths world-wide, 121 buried in France, 611 buried in Flanders. On 31 July, 1917, began the third battle of Ypres. Total Commonwealth deaths in one day – over 6,000. Coxyde is located adjacent to St. Idesbald, and is within 8000m of the areas mentioned. The cemetery was begun by French troops, but the area was defended by the British from June to December 1917, and now contains 1,507 Commonwealth burials of the First World War. The cemetery was designed by Sir Edwin Lutyens. Percy John Dexter is remembered on the Rugby Town Memorial and New Bilton (Croop Hill Cemetery) Memorial.